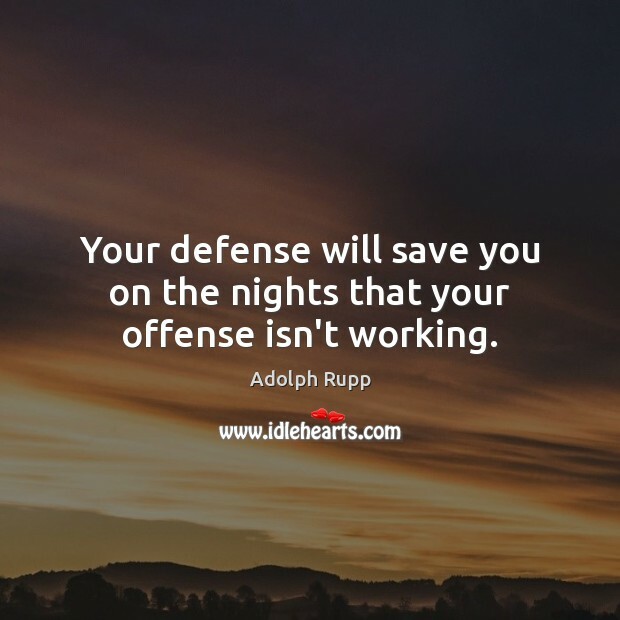 Enjoy the best inspirational, motivational, positive, funny and famous quotes by Adolph Rupp. Use words and picture quotations to push forward and inspire you keep going in life! 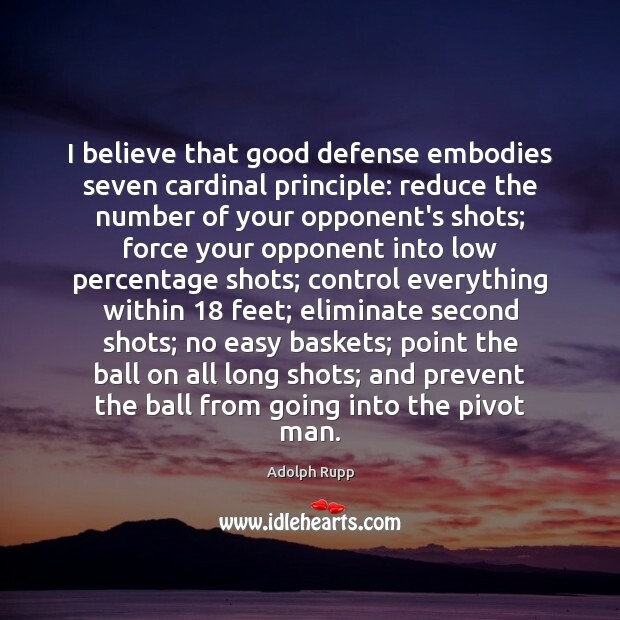 I believe that good defense embodies seven cardinal principle: reduce the number of your opponent's shots; force your opponent into low percentage shots; control everything within 18 feet; eliminate second shots; no easy baskets; point the ball on all long shots; and prevent the ball from going into the pivot man. 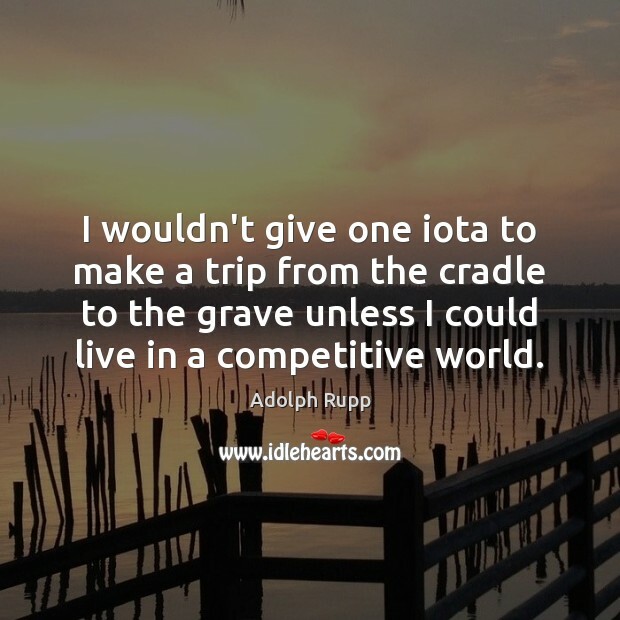 I wouldn't give one iota to make a trip from the cradle to the grave unless I could live in a competitive world. 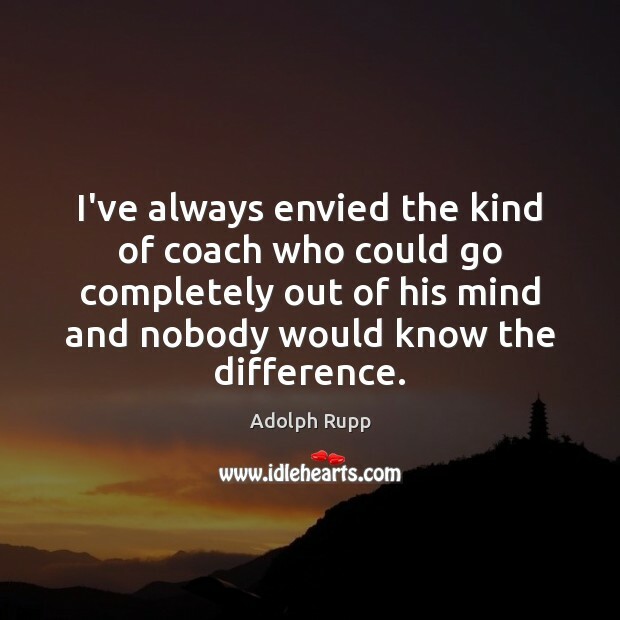 I've always envied the kind of coach who could go completely out of his mind and nobody would know the difference. 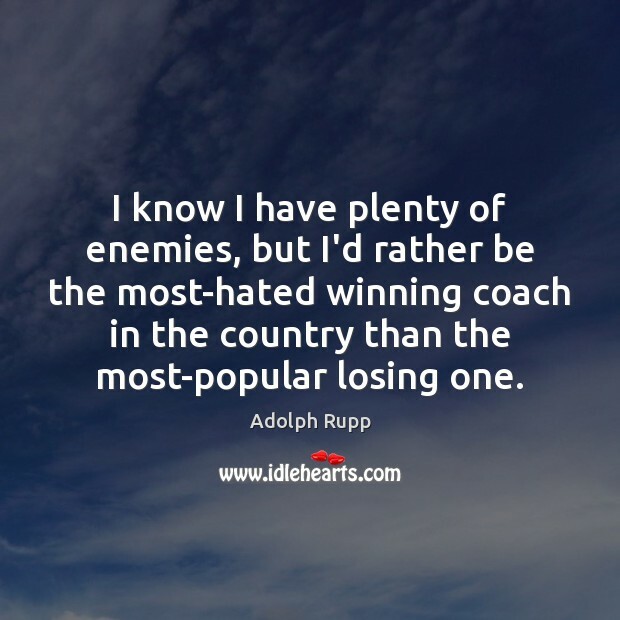 I know I have plenty of enemies, but I'd rather be the most-hated winning coach in the country than the most-popular losing one. 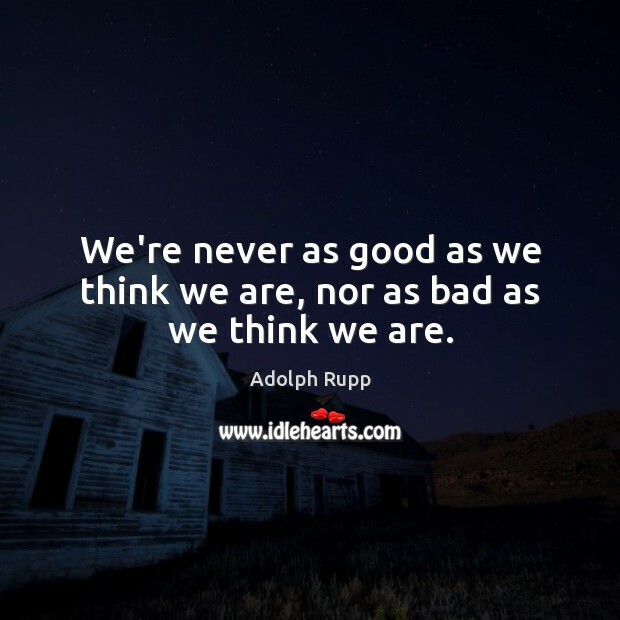 We're never as good as we think we are, nor as bad as we think we are. If a Coach is determined to stay in the coaching profession, he will develop from year to year. 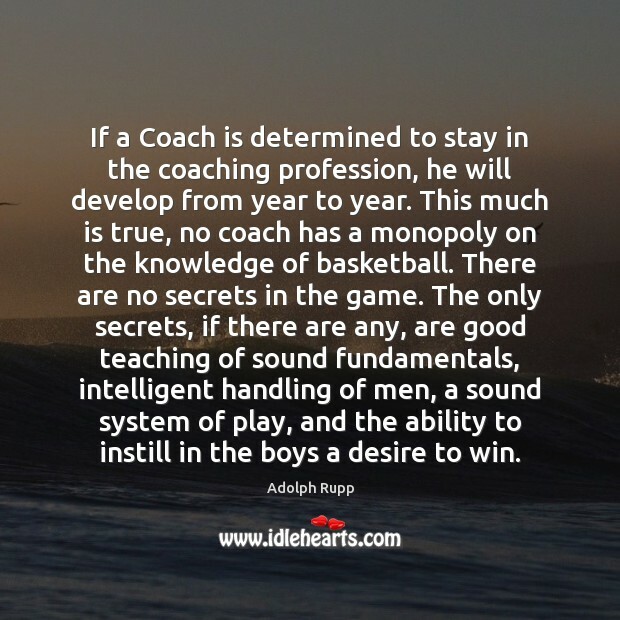 This much is true, no coach has a monopoly on the knowledge of basketball. There are no secrets in the game. The only secrets, if there are any, are good teaching of sound fundamentals, intelligent handling of men, a sound system of play, and the ability to instill in the boys a desire to win. 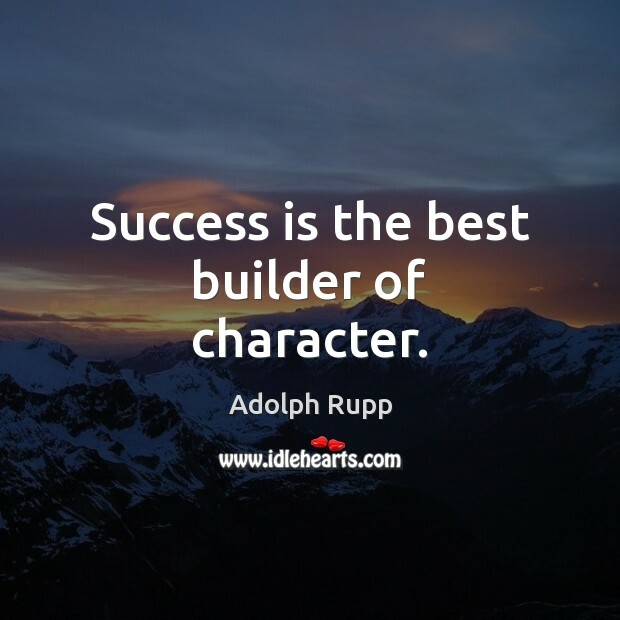 Success is the best builder of character. 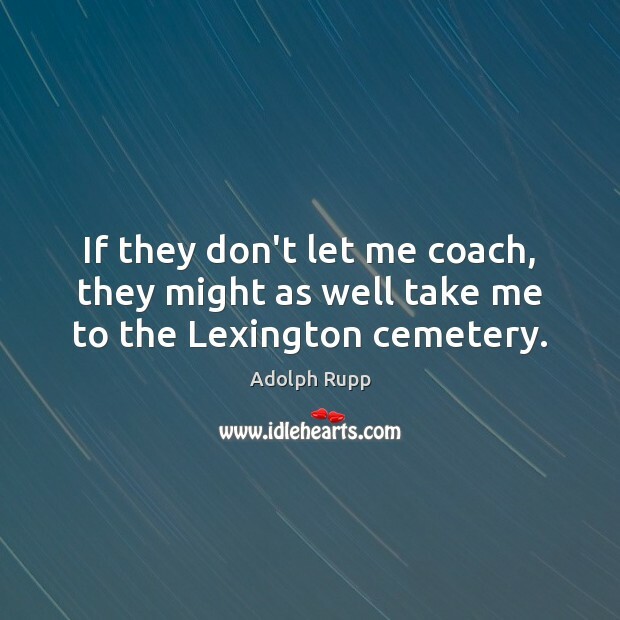 If they don't let me coach, they might as well take me to the Lexington cemetery. 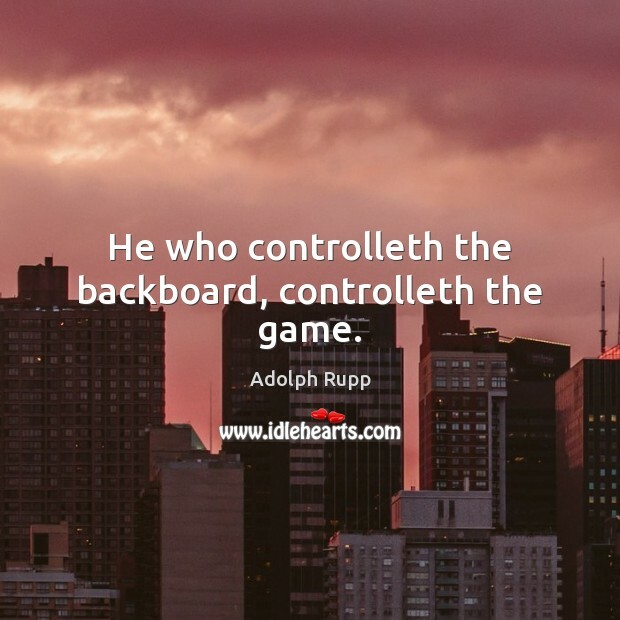 He who controlleth the backboard, controlleth the game.